Here we are, Thursday already! Here's my three things for today. 1. It's official! Gardiner is finally going to have a summer track program and I'm going to start it up! I've contacted our local Boys and Girls Club and have the initial meeting with the athletic director next week, but I saw it on the B&G website last night, so it's definitely a go. I was jealous of our friends in other communities throughout Maine who had track programs in their towns and their kids were having a blast. Rather than whine and moan about our town not having one, I decided to take action and just join forces with the B&G club and go for it! This is going to be a fun new adventure. 2. 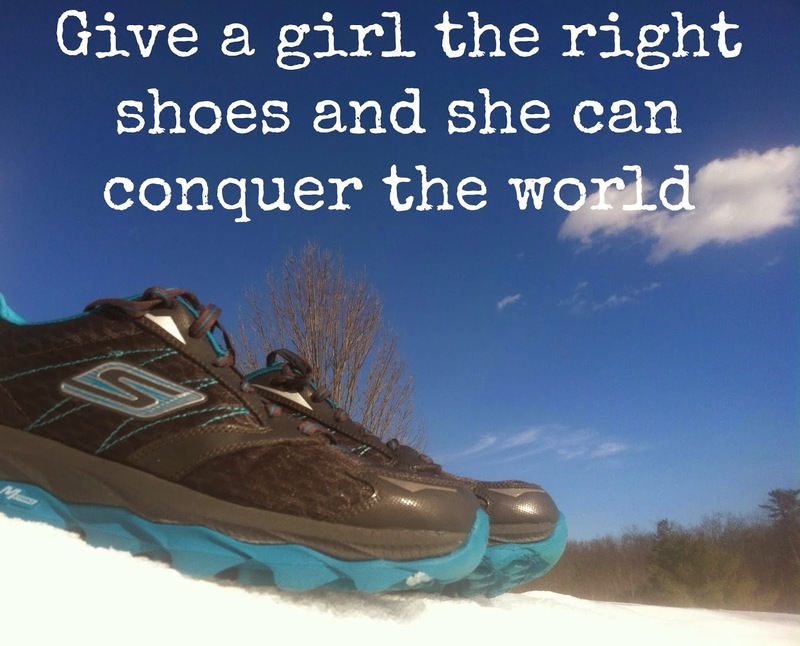 For the past two weeks, every single run has been in the Skecher Go Run Ultra. I am blown away. More to come on this. 3. Today is my allergy testing day. I've been so nervous about this all week. Making sure I didn't take any antihistamines to skew the results. Mostly I am super curious if anything will show up. Congrats! Way to go with getting out there and starting the track team, that will be loads of fun! That's really cool about the track program!! At least after the testing you'll have some answers ... hopefully! Way to take initiative and get the program started! That's awesome! Good luck on your testing! Great job getting the program started! Hope your allergy testing goes good as well. Good luck with the allergy testing. I am looking forward to your Sketchers review, I can't believe how much you love them. Such a unique design! Very cool! My Week in Review & February Break!